At Janssen, Pharmaceutical Company of Johnson & Johnson, we are dedicated to the research and development of innovative, efficient and safe medications. With presence in over 150 countries in the 5 continents and with over 40,000 employees worldwide, we are focused in some of the most devastating diseases and the most complex medical challenges of our time in 5 therapeutic areas: Oncology, Immunology, Central Nervous System, Cardiovascular and Metabolics and Infectious Diseases. This way we count with therapeutic alternatives for illnesses like prostate cancer, rheumatic diseases, psoriasis, schizophrenia, hepatitis C, type 2 diabetes, amongst others. 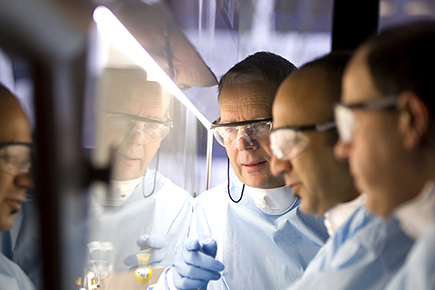 At Janssen, we collaborate with the world for the health of everyone in it.